The subject of law has been continuously taught at West Point since the early 1820s. Originally housed in the Department of Geography, History and Ethics, legal instruction became the responsibility of the newly created Department of Law in 1874. The Department was built in the early years under the leadership and service of extraordinary Judge Advocates. 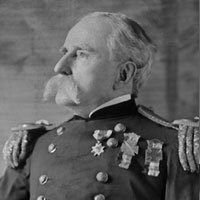 The first Professor of Law - MAJ Asa Bird Gardiner - was awarded the Medal of Honor for his heroism during the Battle of Gettysburg. He was followed four years later by MAJ Guido Norman Lieber, son of Dr. Francis Lieber, author of the Lieber Code - which served as the basis for General Orders 101 (rules regarding conduct in war) during the Civil War. MAJ Lieber made efforts to ensure the Lieber Code remained influential in American military practice. After his service at West Point, MAJ Lieber went on to become the longest serving Judge Advocate General in U.S. Army history. Changes to the academic curriculum in 1999 gave Cadets the ability to pursue academic majors, including the Law and Legal Studies Major. Further changes beginning with the Class of 2019 increased Cadet choice and broadened academic depth, expanding each Cadet’s major curriculum from ten to thirteen academic courses. Interest in the Law and Legal Studies Major among the Corps of Cadets has doubled with the increased Cadet choice. More than one hundred Cadets in the Class of 2021 competed for the fifty-seven seats available to them in the Department of Law.